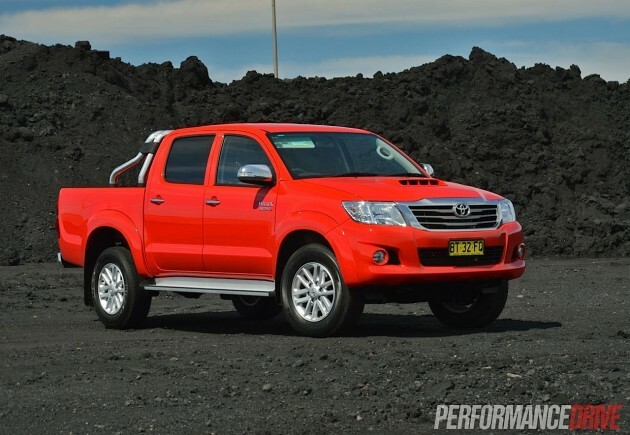 When Australians think 4×4 utes the first one they think of is the Toyota HiLux. You only need to glance over the sales figures to see the proof. 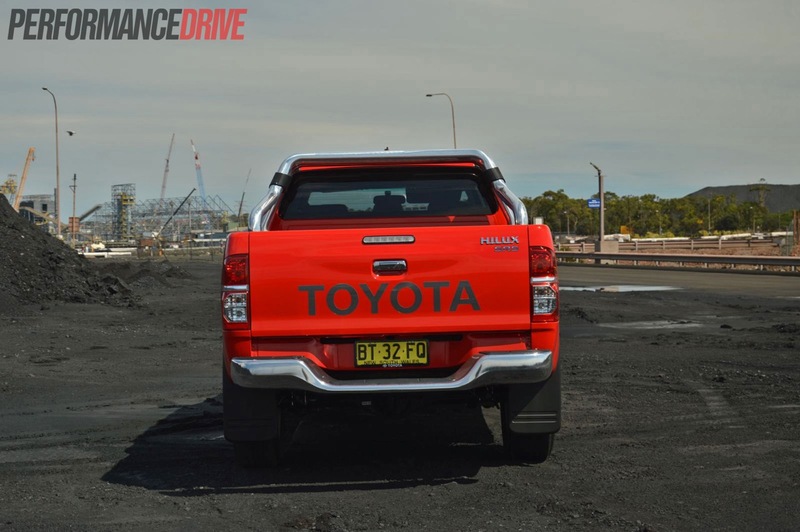 With the 2013 Toyota HiLux SR5, it continues to shape the definition of what a ute in Australia is all about. 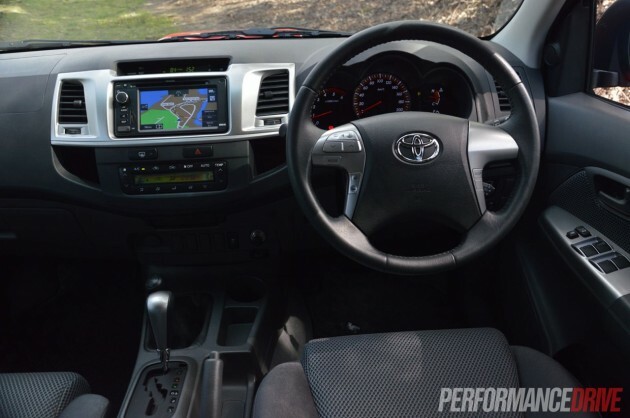 Toyota has always put in a lot of effort making high quality, highly robust and reliable commercial vehicles. And for Australian conditions, the company’s products have certainly stood the test of time. 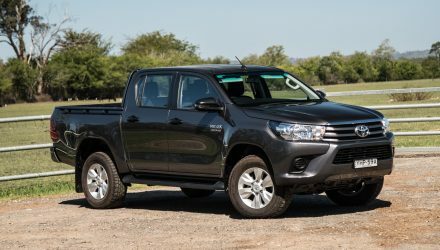 So far this year Toyota has sold 26,821 examples of the 4×4 HiLux. The figure is almost identical to the sales achieved during the same period last year (26,951). This makes it quite easily the best-selling vehicle in this segment. 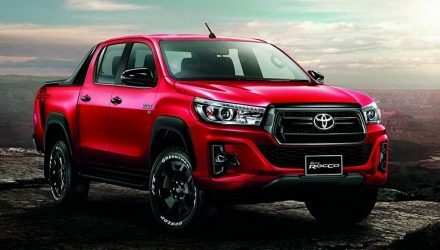 It’s so popular in fact, its next nearest competitors are literally thousands of sales behind; Nissan Navara 4×4 (19, 945), Mitsubishi Triton (17,662), and the Ford Ranger (15,659). 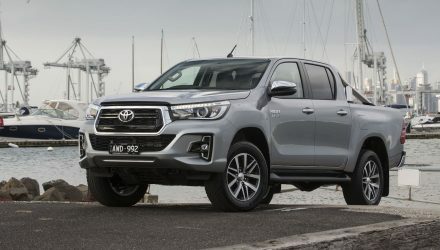 To give you more of an idea of the extent we’re talking about here, more 4×4 HiLuxs are sold in Australia than the Holden Commodore (25,218), and that’s excluding 4×2 sales. Knowing there are that many willing punters out there, it’s no surprise all of the major manufacturers want a piece of the market pie. 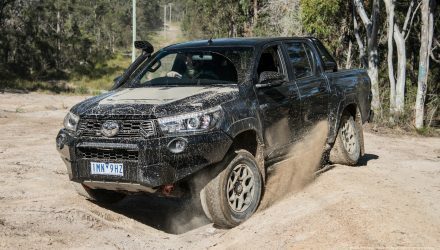 There are currently 14 different 4×4 ute models offered in Australia. By no means does the HiLux sit by itself in a safe little indestructible vacuum. 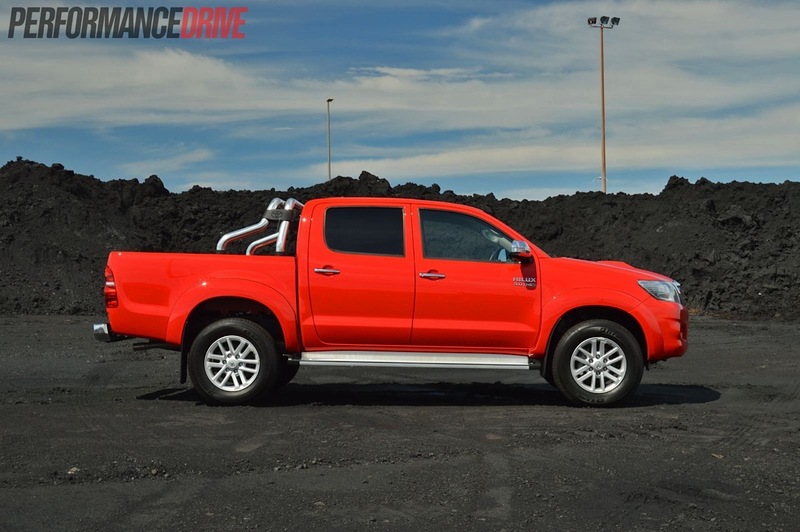 Toyota offers 13 different variants in the HiLux range with three different engines to cater for all trades. 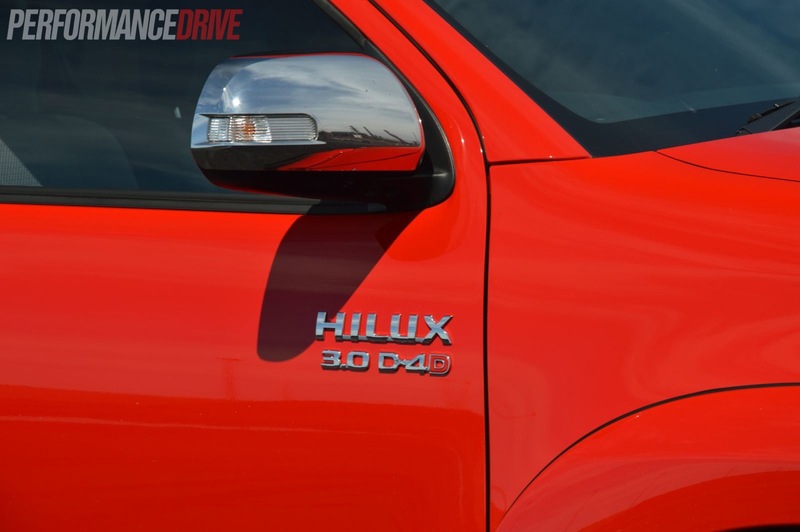 The jack of all trades that sits at the top of the lineup is this, the HiLux SR5. The SR5 is offered with two engine options; a 175kW 4.0L VVTi V6 petrol and a 3.0L turbo-diesel four-cylinder with 126kW and 343Nm. Today, we get a drill down on the trusty diesel choice. 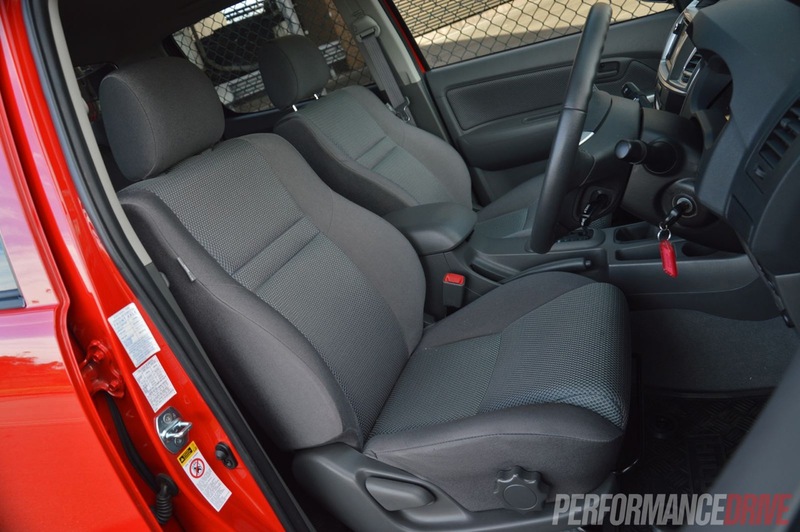 Toyota currently has an end of year deal happening for the five-speed manual SR5 for $46,990 drive-away. The D-4D as tested here with the four-speed auto starts at $53,490. The interior is a fairly boring blend of grey for the basic yet practical fabric upholstery while cream is used for the ceiling and pillars to give it some contrast. Being the top-line variant, the SR5 is speckled with minor luxury touches, with softer seats than the entry level variants, and various leather accents. It’s all familiar and easy to understand, and nothing is too confusing or cluttered inside. In that sense, it becomes a close everyday companion right away, helping to make your work day as stress-free as possible. There is a lot of hard plastic around the place, especially on the centre console and dash, but with the purpose to stand the test of time and to cope with the rugged land of ours, it’s an appropriate position for Toyota to take. 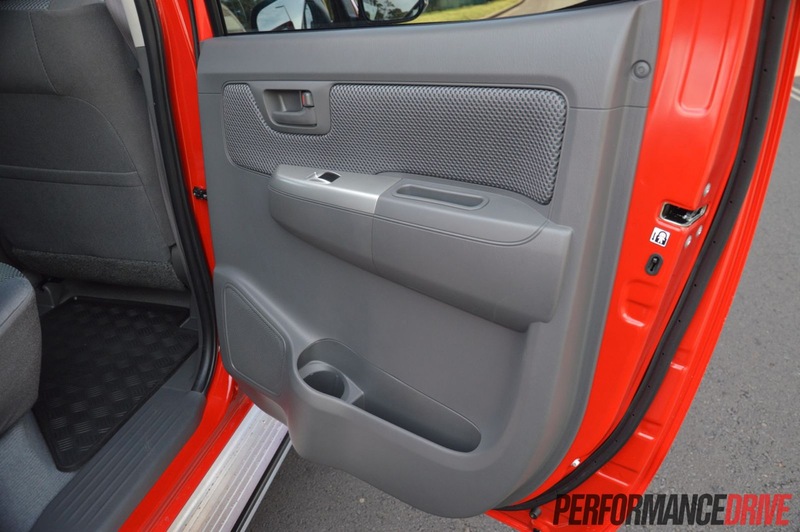 You’ll be surprised by how large the interior space feels, even in the back. 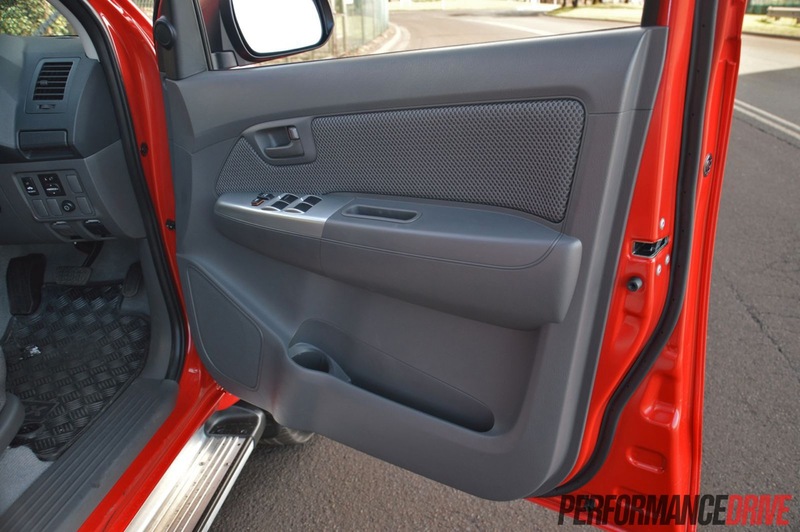 There’s heaps of headroom and storage space in the front and rear; it actually feels more airy than a Ford Falcon sedan. 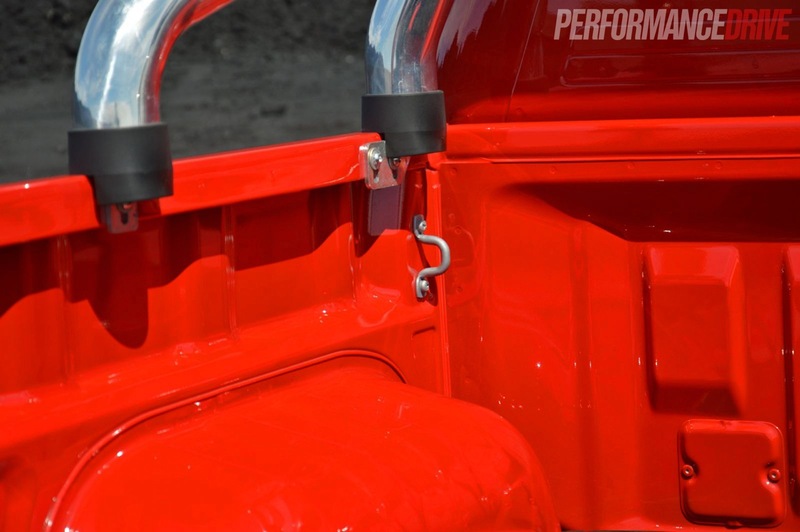 Every occupant gets a cup or bottle holder and a comfortable seat to compensate for the inherit bouncy ute suspension. 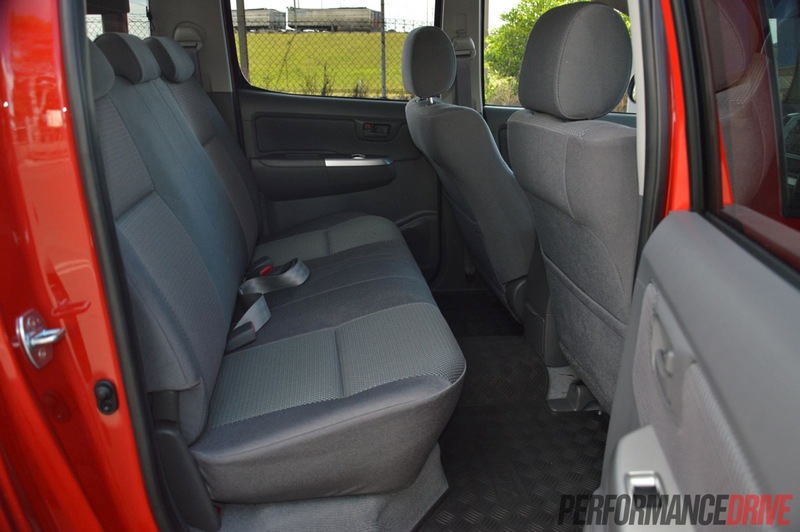 The rear seat backrest is a tad too upright for ultimate long distance comfort, but it is a common double-cab trait and not many others offer anything substantially better. 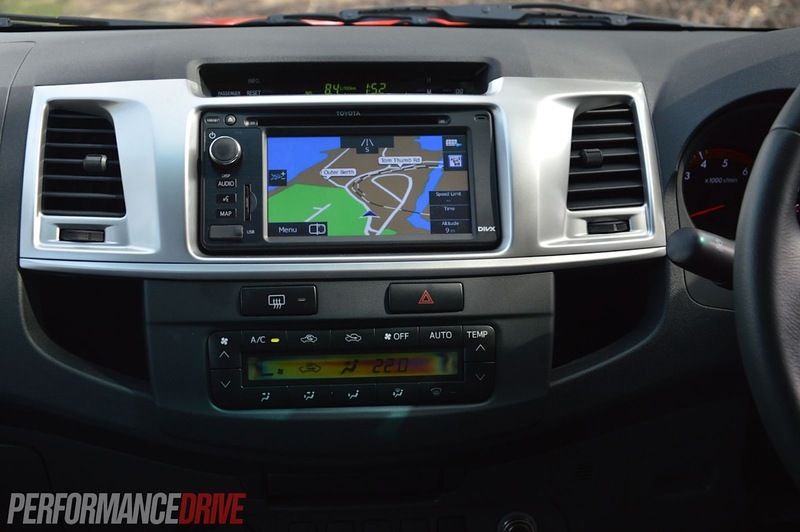 The driving position is much less awkward than what is presented in most rivals, doing away with a van-like position for a more conventional sedan or hatch layout. The steering wheel points at your chest and you sit just under dash level. Being the top of the line model it comes with creature comforts such as climate control air-conditioning, a six-speaker stereo with MP3 and USB support, a somewhat crude and basic satellite navigation system, voice recognition, a premium steering wheel, cruise control, auto headlights, power windows and mirrors, and a rubber mat along the cabin floor for easy cleaning. The feature list isn’t outstanding, but it does come with everything that you actually need and use. The SR5 also showcases a range of mechanical highlights such as a dual-range transmission with part-time four-wheel drive, a limited-slip differential at the back, independent front and live-axle rear suspension, 17-inch alloy wheels, and a number of safety technologies such as electronic brake distribution, stability and traction control, and six airbags, all supported by the full five-star ANCAP rating. That psychological feeling of power and security on the road is not only created by the stigma attached to driving an historical market leader, but also physically. A high-riding seating position with excellent visibility, the authoritative note and clatter of the tough diesel engine, and the unmistakable bounce you get from the rock-solid suspension all add to the rugged formula. Parking this beast is not the easiest of tasks. Being a large ute it’s naturally difficult to grasp its dimensions, especially when reverse parking. A reverse camera or sensors really could’ve benefited this type of vehicle. The tray stretches right out, often more than you might have estimated. Like all vehicles, it takes some getting used to. 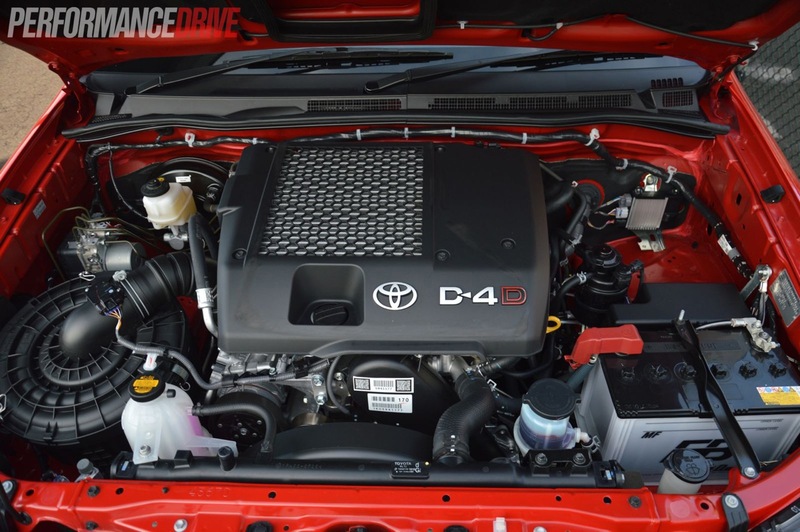 When it comes to the move the D-4D engine practically idles up to speed. It never struggles to pull up steep hills and although it is down on power compared with most market rivals, it seldom feels short of breath. 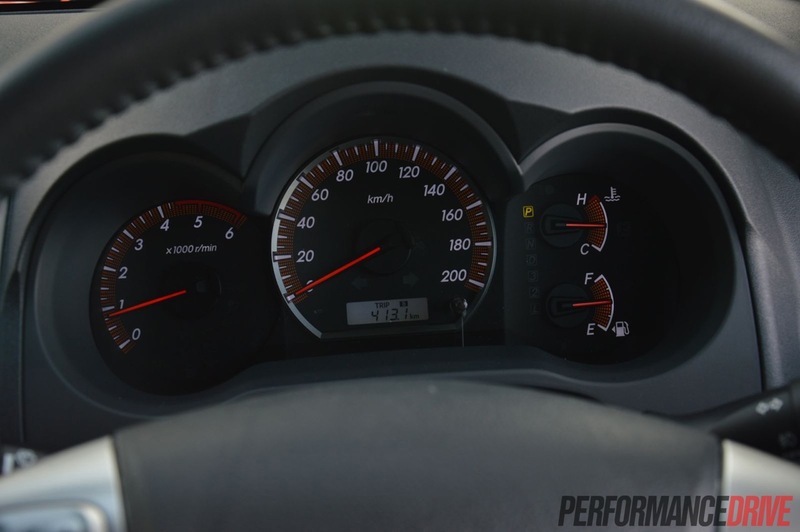 Superior to other utes in this class, maximum torque output starts just above idle at 1400rpm, which means you need only breathe on the throttle to get things shifting. 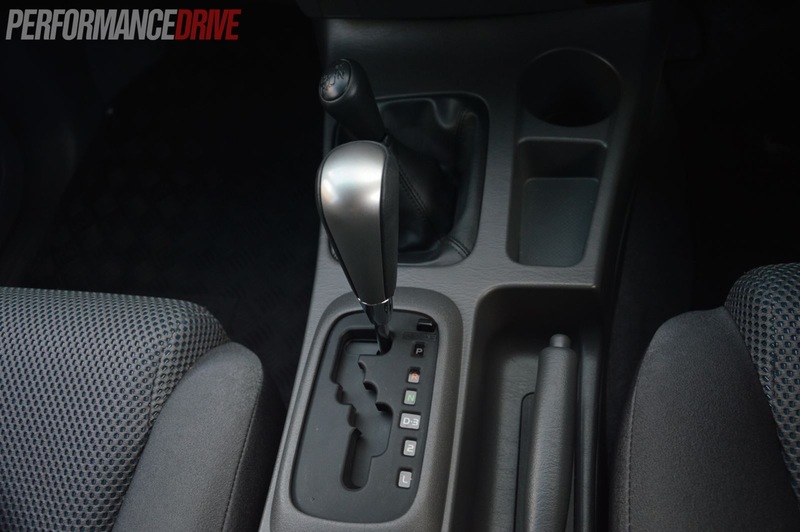 With this kind of instant torque delivery the rather old-school four-speed auto doesn’t seem like such an ancient artifact. It pulls through the gears just fine. 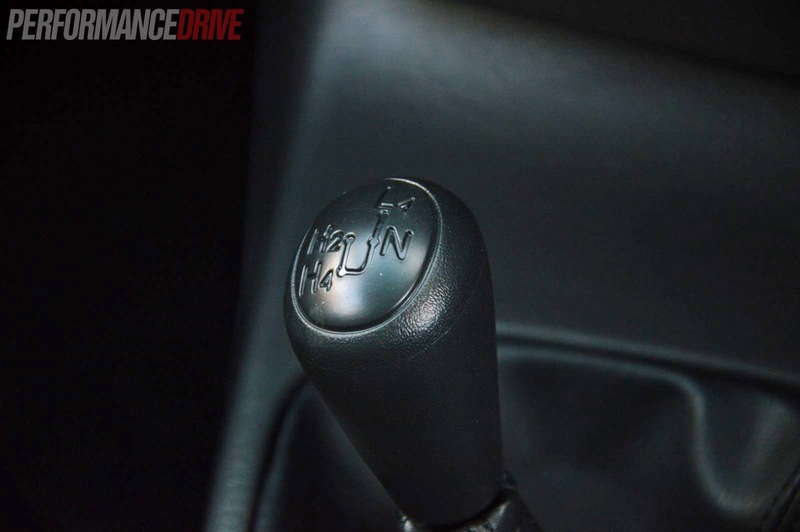 It would be nice to see a five or six-speed auto though, as it would likely provide economical benefits and bring highway revs down to a certain degree. The sound and vibration produced by the harshness of the diesel is almost as if you can feel each piston explosion occur. 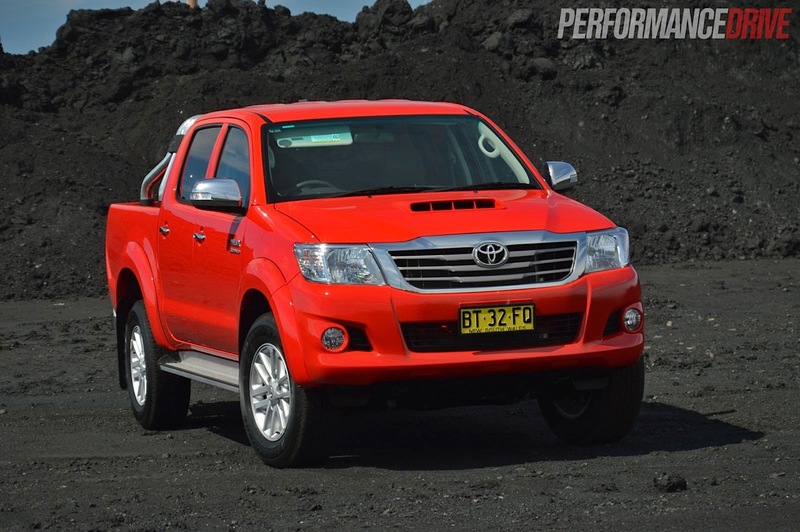 It really exacerbates that bulletproof feel we’re so familiar with in the Toyota HiLux. That said, the D-4D unit is one of the smoothest in comparison to the competitor offerings. 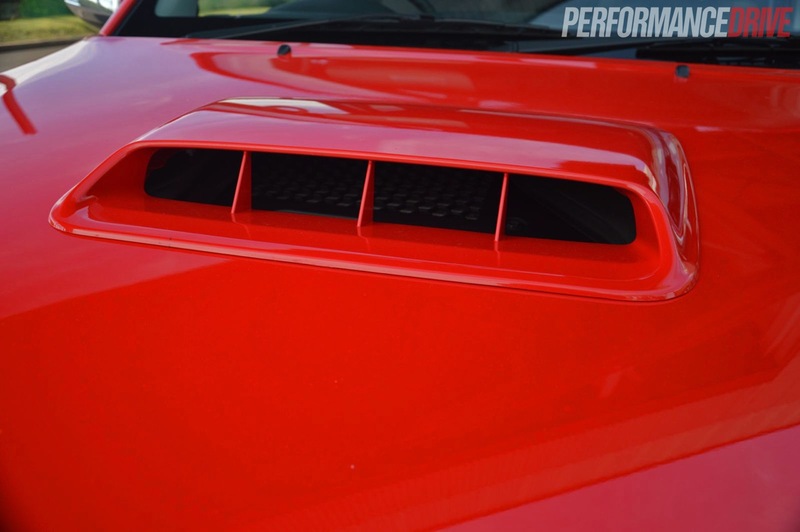 While there isn’t any turbo-lag, unequivocally thrilling acceleration doesn’t really occur. We timed 0-100km/h in 11.6 seconds, which is about average for this segment. Around the bends the HiLux SR5 is obviously no sports car. But the stiff suspension does help to support such a beast and make it feel comparatively stable. Body roll, body control and grip remains satisfactory throughout the arc of a bend, and changing directions in tight roundabouts and the like is surprisingly zippy. 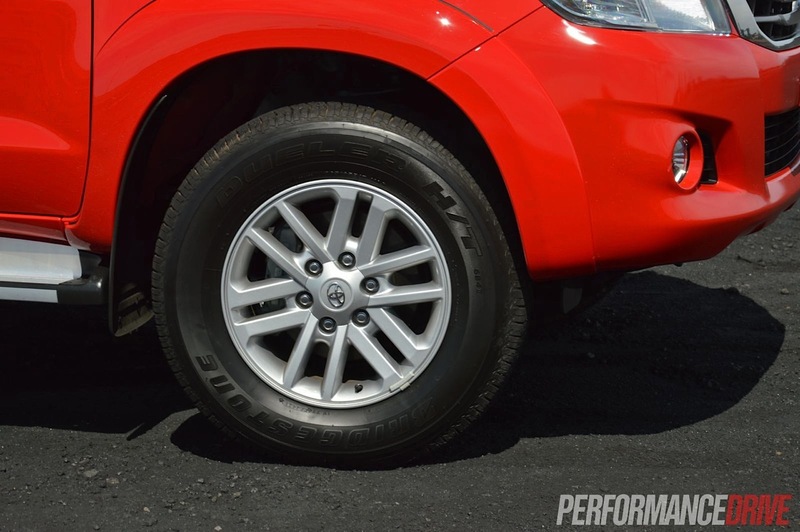 This is partly down to the relatively low kerb weight of 1945kg – most rivals are well over 2000kg. 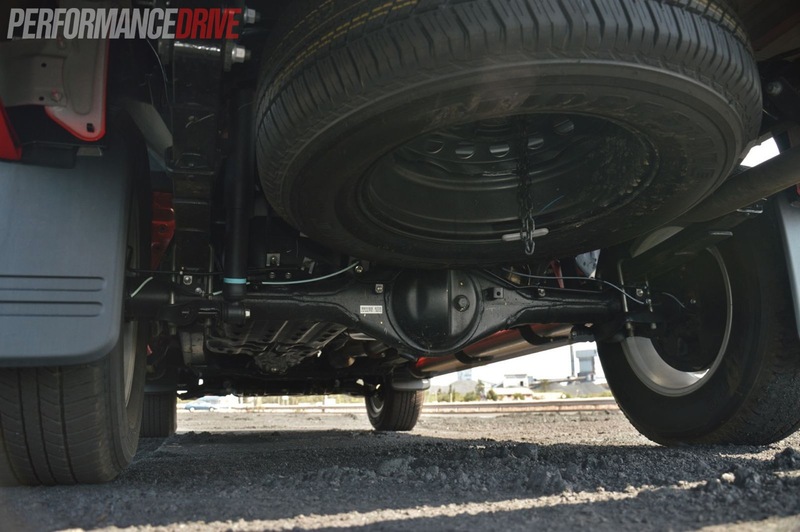 Refreshing to see among this segment is a steering system that isn’t too heavy or tiresome. It feels quite car-like to wind in lock and there is a degree of communication feedback given to the driver. 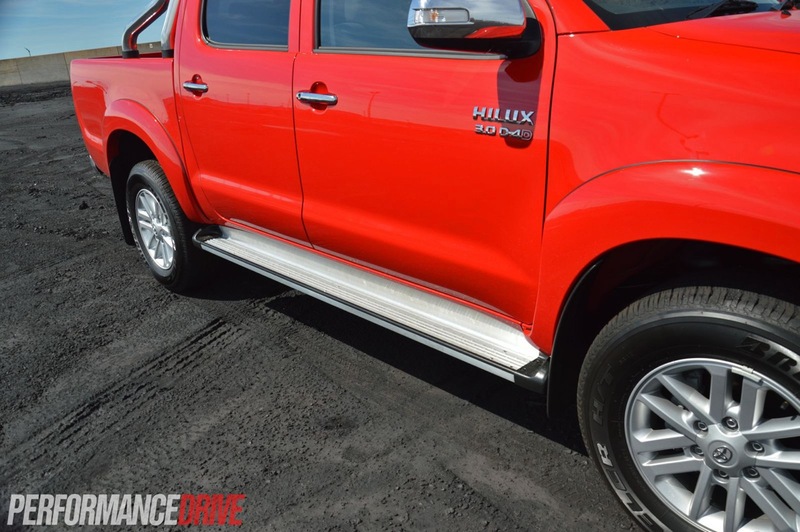 As we’ve said before about the HiLux in a previous review, it is one of the nicer on-road drives in the 4×4 ute range. Off the beaten track and the 210mm of ground clearance, 30-degree approach angle and 23-degree departure angle makes it impeccable for scrambling over mounds and branches. And that suspension – independent, double wishbone, coil springs, gas dampers and jointed mount anti-roll bar in the front; and rigid live axle, leaf spring and double-acting gas damper units for the rear – is all monumentally impressive for Aussie bush adventures. 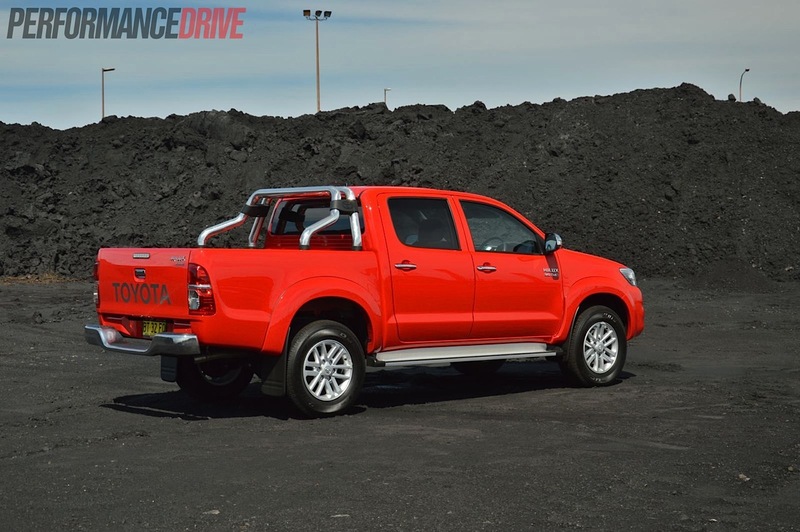 Although it does miss out on the more heavy-duty differential locks that some of the competitors get, the HiLux’s part-time four-wheel drive system does well to distribute torque between each wheel for maximum traction. We had no issue with the system, in fact, it proved very capable during our rugged tests. The SR5 strives to be the almighty ute of our time. It does miss out on some crucial features, especially being the top-spec model, such as a reversing camera and a more premium interior. 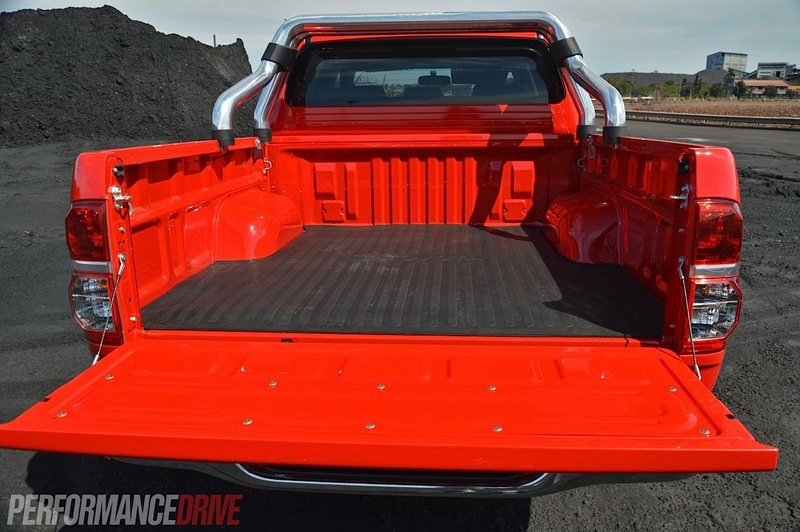 SR5 upgrades aside, the raw Toyota HiLux is still just as strong and rugged as ever. 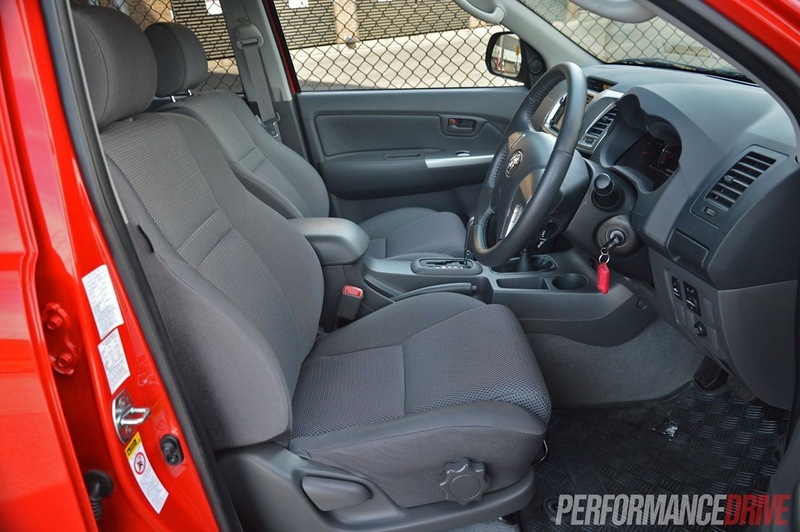 If you want a ute with all of the flashy features and comfort on-road driving, you might want to look elsewhere. 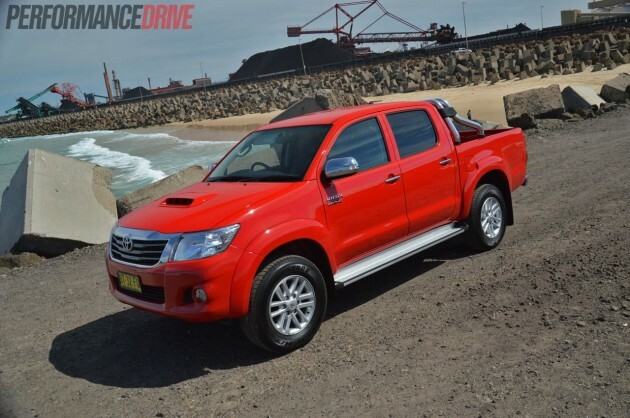 The HiLux is an ‘unbreakable’ 4×4 ute with enough necessities to keep you focused on the job. With splendid off-road capability, decent on-road comfort, a full-sized spare tyre, six interior grip handles, side steps, underbody protection and ease of use of the interior, the HiLux SR5 really is the ultimate workhorse. It’s no wonder it continues to be the best seller in this class.